Multi-Golden Guitar award-winner, including Female Vocalist of the Year, Beccy Cole is one of Australia's best-loved performers. One of the highlights of Beccy's show is her ability to play all the instruments in the band. 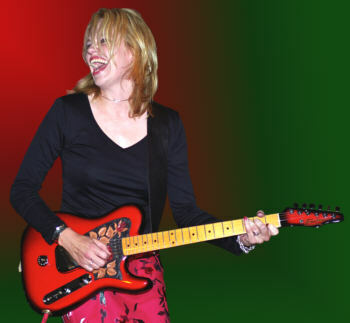 She is pictured here with her own Tomkins Custom guitar.